Flat links best suited to use with friction shift gearing. How do you join this chain? Does it come with a quick link? 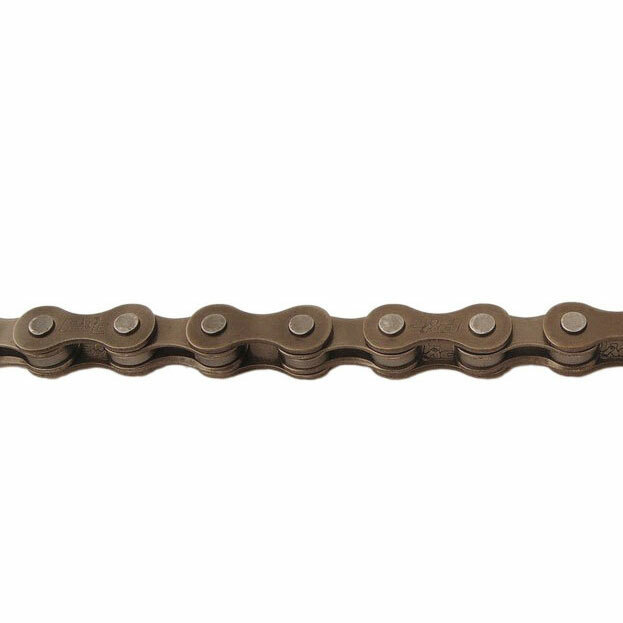 This chain does not come with a quick link. It comes with a pin partially pushed out so it requires a chain tool to push the pin back in to join the chain.